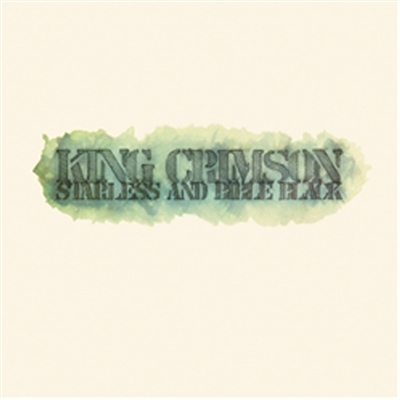 DGM & Panegyric are proud to present the eighth in a series of King Crimson high quality vinyl reissues with the November release of “Starless & Bible Black”. This completes the availability of the band’s studio output from 1969/74 on 200gram vinyl editions. The album’s return to the 12” vinyl format is newly cut from masters approved by Robert Fripp. The super-heavyweight vinyl is housed in a reprint of the original sleeve. Demand for King Crimson vinyl is at an all-time high. With rave reviews for the band’s recent UK/France/Holland concerts still coming in & with a Canadian & Japanese tour to come in 2015, this will be a sought after item for many King Crimson fans. For a band that favoured the presentation & honing of material in live performance prior to studio recording, it was inevitable that with the increasing portability of quality recording machines, the concert performance would, in effect, become the basis of the subsequent studio recordings. With “Starless and Bible Black” King Crimson, reduced to a quartet following the departure of percussionist Jamie Muir, took that step. Half of the album was sourced from live gigs – much of it from a concert at the Amsterdam Concertegebouw in November 1973. (The complete concert was subsequently issued as “The Nightwatch” album & fully detailed on 2014’s “Starless” boxed set.) While some of the material was developed or overdubbed in the studio, other tracks were presented exactly as per the concert setting with the audience applause removed. With the band’s burgeoning live reputation, increased tour schedule & commitment to improvisation, the use of the live material led to the album being the most accurate representation to date of the lineup’s uniquely powerful live sets. Side 2 of the original vinyl in particular, allowed the band to present a pair of lengthy tracks – the title track drawn directly from the Amsterdam concert & ‘Fracture’ with additional studio overdubs – that demonstrated the manner in which live improvisations were forming the foundations for much of their material. “Starless and Bible Black” demanded the attention and concentration of the listener. Crimson’s audience responded to the challenge, making it a much loved album by the band. As with the other recordings by the mid-1970s lineup, the intervening years have seen the album’s reputation increase among fans & musicians alike, while the then unusual approach to using live performances as core elements of subsequent studio recordings has become increasingly commonplace.